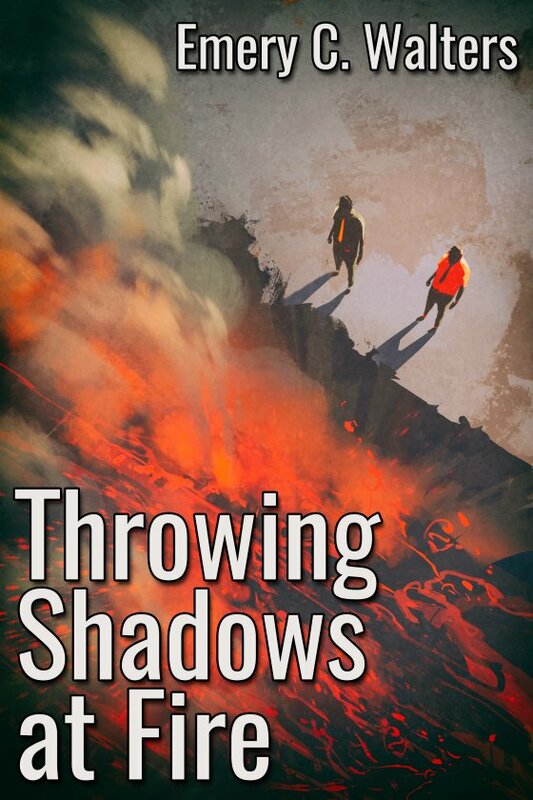 Throwing Shadows at Fire by Emery C. Walters is now available! When the island volcano erupts and buries neighborhoods, life gets very exciting for helicopter tour pilot, Keoni. His home is threatened by rapidly spreading lava, so he’s staying with his lifelong friend Steve. Keoni has never felt any chemistry between them before, but his feelings for Steve change as things turn deadly even in supposedly safe areas. Keoni carries newsmen, cameramen, officials, politicians, and performs rescues on flight after flight. As his home is destroyed and more neighborhoods crumble, his emotions run high, and his feelings for Steve grow. But he screws things up between them as he leaves for his last flight of the day, maybe of his life. Could things get any worse?